Usain Bolt and Every Runner Since 1896 | Run Inspired. You would have to have been living under a rock if you missed hearing about Usain Bolt’s dominance in the 100 and 200 meter sprint at the London Olympics. But in case you have no idea what I’m talking about, you can watch his performances here and here. Kevin Quealy and Graham Roberts from the New York Times did an awesome video and infographic comparing Bolt’s performance to every 100 meter sprinter in the Olympics since 1896. If you have three minutes, you really need to watch it here. Based on the athletes’ average speeds, if every Olympic medalist raced each other, Usain Bolt (the London version) would win, with a wide distribution of Olympians behind him. 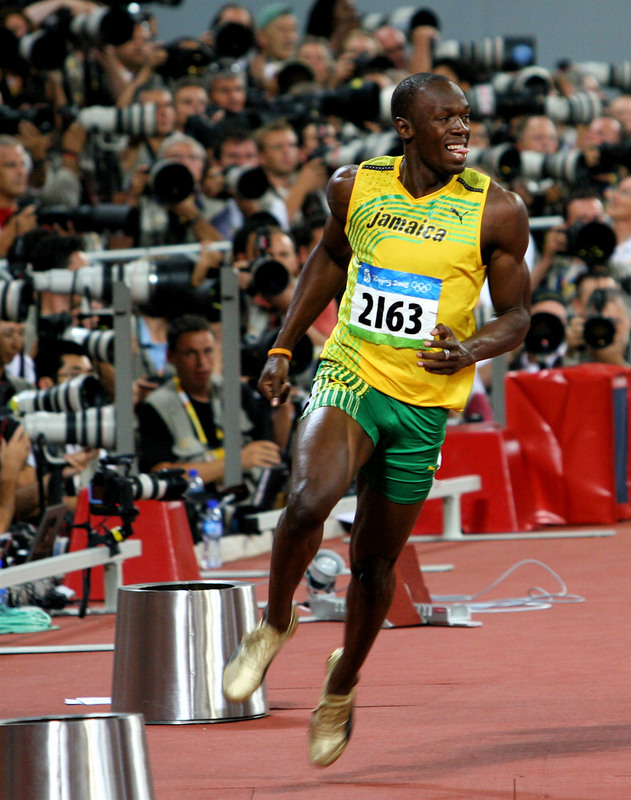 The 1896 gold medal winner is more than 60 feet behind the 2012 version of Usain Bolt. And the fastest 15-16 year old today ran a time of 10.27, which would have been fast enough to earn him a silver medal as early as 1980. But perhaps the most interesting fact at the end of the video is that the difference between today’s 100 meter gold medalist and that of the 19th century is only about 3 seconds – even with our many advances in nutrition, footwear, and workouts. Olympians really are amazing people.